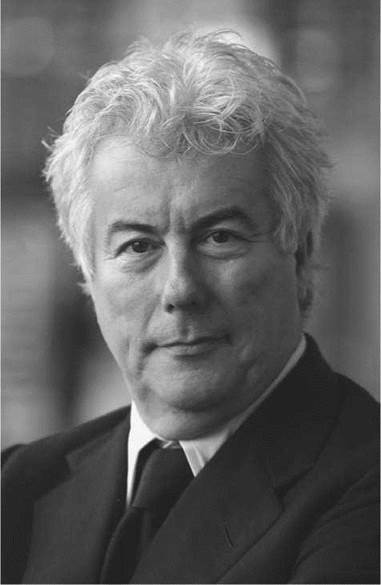 Ken Follett began his career as a fiction writer while working for the London Evening News. He produced a series of mysteries and thrillers (two for children) under various pseudonyms until he felt he had learned enough and had written well enough to author under his own name. Since that time, Follett has become one of the world’s youngest millionaire authors, making his fortune writing international thrillers that blend historical events and action-adventure fiction. After the success of his first best seller, Eye of the Needle, each of Follett’s subsequent novels has debuted with massive first printings and vast publicity. His works strike a balance between the serious and the popular and have been praised for their psychological complexity as well as the sensitive treatment Follett gives his female characters. Early Work: Journalism and Rock and Roll. Born in Cardiff, Wales, on June 5, 1949, the son of Martin and Lavinia Follett (the former an internal revenue clerk), Kenneth Martin Follett attended University College in London, where he received a bachelor of arts degree in philosophy in 1970. While still at university, on January 5, 1968, he married Mary Emma Ruth Elson, who worked as a bookkeeper to help put Follett through school. The Folletts have a son, Emanuele, and a daughter, Marie-Claire. Follett began his career in journalism as rock music columnist for the South Wales Echo from 1970 to 1973. Then he became a crime reporter for the London Evening News from 1973 to 1974, an editorial director for Everest Books Ltd., London, from 1974 to 1976, and deputy managing director for the same company from 1976 to 1977. In the late 1970s, he became involved politically in the activities of Britain’s Labour Party, and in the process met the former Barbara Broer, a Labour official, who became his second wife in 1985. More than a decade later, she became an elected Member of Parliament. Early Success: Writing for the Masses. Follett’s ideal, set forth in his 1979 essay ‘‘Books that Enchant and Delight,’’ is a compromise between the serious and the popular, the ‘‘plot, story, excitement sensation, and the world outside the mind’’ that he believes serious writers too often ignore, merged with the ‘‘graceful, powerful prose’’ and more complex character development that mass-market writers fail to take time for. His first novel, The Big Needle, published in 1974, was quickly turned out under the pseudonym Simon Myles to pay car repair bills after the birth of his daughter Marie-Claire in 1973. It reflects its origins: sensationalist, racy, and short, with an exciting chase scene that has since become the hallmark of a Follett novel. Breakthrough Novels. Follett’s big break came in 1978. The highly acclaimed Eye of the Needle, a Literary Guild selection and winner of the 1978 Edgar Award from the Mystery Writers of America, was in fact—thanks to a carefully conducted marketing campaign—on the best-seller list weeks before its actual publication. Follett’s motivation remained monetary: having attended a sales conference held by Futura Publications, distributors of Everest Books, Follett was asked by Anthony Cheetham, Futura’s managing director, to write an adventure story related to World War II. After a night on the town he wrote a three-paragraph summary, which the managing director lost; Follett recalled it when sober, received a commission, and wrote the book in three months. Eye of the Needle sold 5 million copies worldwide and was adapted for the screen by Stanley Mann and released by United Artists in 1981. The book also launched Follett’s interest in World War II, a backdrop that would factor greatly in the works to follow. Triple, published in 1979, was Follett’s second best seller. It brought in $2.5 million and a three-book, $3-million deal with New American Library and took nine months to write. Criticized for being technically inept, Triple was praised for showing both sides of the Arab- Israeli conflict. Conversely, The Key to Rebecca, published in 1980, had a first printing of one hundred thousand copies, was subsidized by the leading book clubs, and serialized in several magazines. Follett took a year to write the novel and his care is reflected in the quality of its prose and characterization. It is based roughly on accounts of Erwin Rommel’s 1942 North African campaign, and includes a plausible portrait of Anwar-el-Sadat as a young Egyptian army officer who is one of the leaders of the Egyptian nationalist movement. His 1989 novel The Pillars of the Earth, which Follett himself is said to regard as his finest work, has taken on a cult status since its publication. Set in the mid-twelfth century, the historical novel is concerned with the building of a Kingsbridge, England castle. For medievalists, the work’s Gothic backdrop and tone combined with thriller characteristics made Pillars a must-read. The novel became Follett’s best-selling work, listed at number thirty-three on the BBC’s Big Read, a 2003 survey with the goal of finding the ‘‘Nation’s Best-loved Book’’ and was a selection for Oprah’s Book Club in November of 2007. Continued High Times. Along with The Pillars of the Earth, A Dangerous Fortune (1993), and A Place Called Freedom (1995) have also been blockbuster successes, due to his early diligence. His latest work, World Without End (2007), took three years to write. In the duration, he has continued to be a prominent Labour supporter, fundraiser, and occasional contributor to Writer magazine. Neil Armstrong (1930-): American astronaut, professor, test pilot, and naval aviator. The first person to set foot on the moon. Simon Cowell (1959-): Emmy-nominated artist and repertoire (''A & R'') mogul who has produced top-selling artists around the world. Talent judge on blockbuster television series American Idol since 2002. Wilma Rudolph (1940-1994): 1960 Summer Olympian who became the first American woman to win three gold medals in a single Olympic season. John Updike (1932-): Award-winning American writer of small town, Protestant, white middle-class subjects who has twice won the Pulitzer Prize. Oprah Winfrey (1954-): Award-winning actress, talk- show host, and philanthropist who ranks highest in such categories as the only African American billionaire (2001-2003) and most philanthropic African American of all time (2004). The Eagle Has Landed (1975), a novel by Jack Higgins. In this novel of political intrigue set against a World War II backdrop, the writing is so enduring readers have been known to credit the characters for its longevity. The Shawl (1990), a novella by Cynthia Ozick. In this poetic novella of the Holocaust, a woman named Rosa protects her baby under a shawl, even though the baby is dead. Winds of War (1971), a novel by Herman Wouk. In this immense work, readers get epic, adventure, love, and romance at once. Popular Fiction. Follett is a popular writer. He relies but little on metaphor and allusion and broadens the scope of his works beyond the specific facts and the series of coincidences only to play around with popular psychology, at times with feminist or romantic trappings. A. J. Mayer, in the September 29, 1980, issue of Newsweek, argues that, ‘‘Follett is no literary stylist,’’ though ‘‘his clean, purposeful prose is more than adequate to the demands of his tightly plotted fast-moving story.’’ Follett focuses on simple writing that provides a clear image in the mind of the reader, which emphasizes his carefully plotted action. Follett himself describes this style as ‘‘transparent,’’ designed to allow the reader to enjoy the story without calling attention to the prose itself. While several of Follett’s works have gained an international following in one respect and mixed reviews in another, several stand out as most often read, shared, and discussed—among them Eye of the Needle. 1. While Reading The Pillars of the Earth, consider the character of Alfred. Why do you think he is so repugnant? In Part V, how do you feel when Alfred goes to Jack and grovels for a job? 2. For many years, Follett has been inspired by not only World War II themes but themes of good and evil. Who or what do you think is good in The Pillars of the Earth? Who or what do you see as evil? What similarities and differences would you say exist between the two? Would you say good or evil ruled? Ramet, Carlos. Ken Follett: The Transformation of a Writer. Bowling Green, Ohio: Bowling Green University Popular Press, 1999. Turner, Richard Charles. Ken Follett: A Critical Companion. Westport, Conn.: Greenwood, 1996. Baker, John M. ‘‘Ken Follett.’’ Publishers Weekly (January 7, 1986): pp. 54-55. Freedman, Richard. Review of Eye of the Needle. New York Times Book Review (July 16, 1978): p. 24. Hauptfuhrer, Fred. ‘‘Out of the Pages: When It Comes to Cliff-Hanging, Ken Follett Has, at 29, Clawed into Competition with le Carre.’’ People. 10 (September 25, 1978): pp. 107-108, 110. Isenberg, Barbara. ‘‘No Cheap Thrillers from Follett Pen.’’ Los Angeles Times, VI (October 1, 1980): pp. 1, 5. Follett, Ken. The Official Ken Follett Home Page. Retrieved January 31, 2008, from http://www.ken-follett.com. Last updated on May 10, 2008. Wired for Books. Audio Interview with Ken Follett. Retrieved January 31, 2008, from http:// wiredforbooks.org/kenfollet.